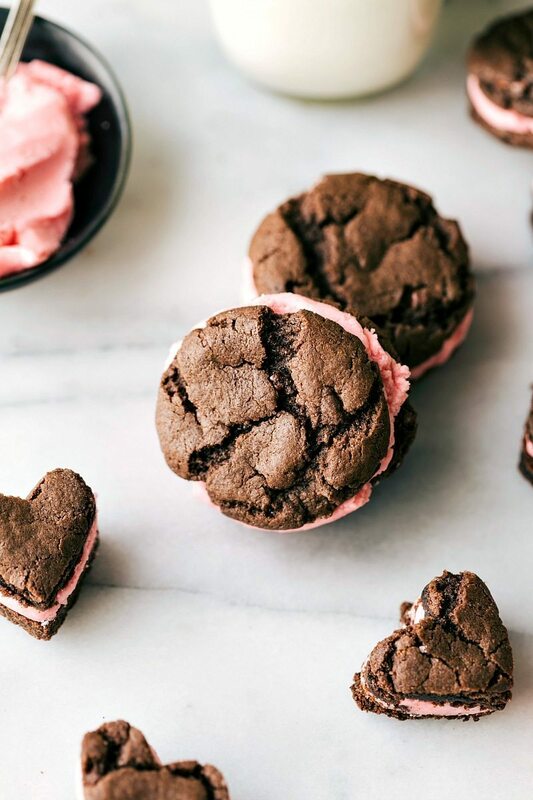 Valentine’s Oreos — regular sandwich cookies OR heart-shaped sandwich cookies. 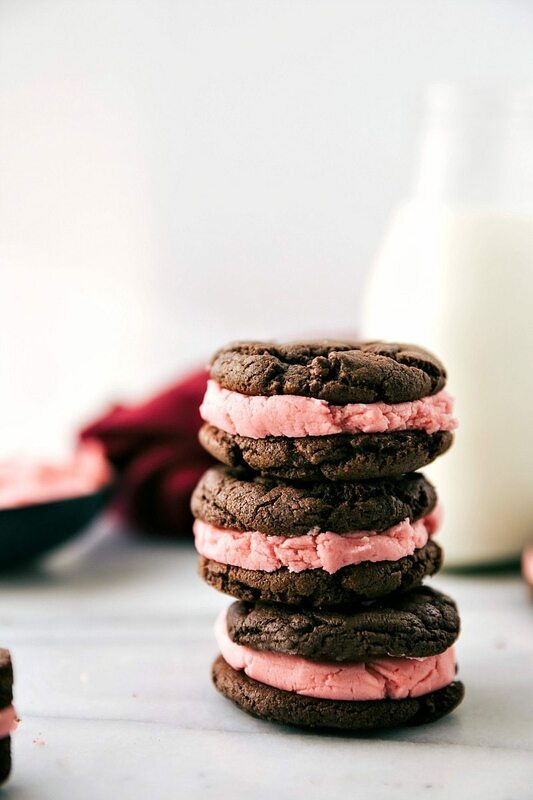 The cookie base has only 4 ingredients and the filling tastes just like a real Oreo! I know I say it for just about every single holiday, but I love Valentine’s Day! And especially because when I can involve festive treats into the fun. 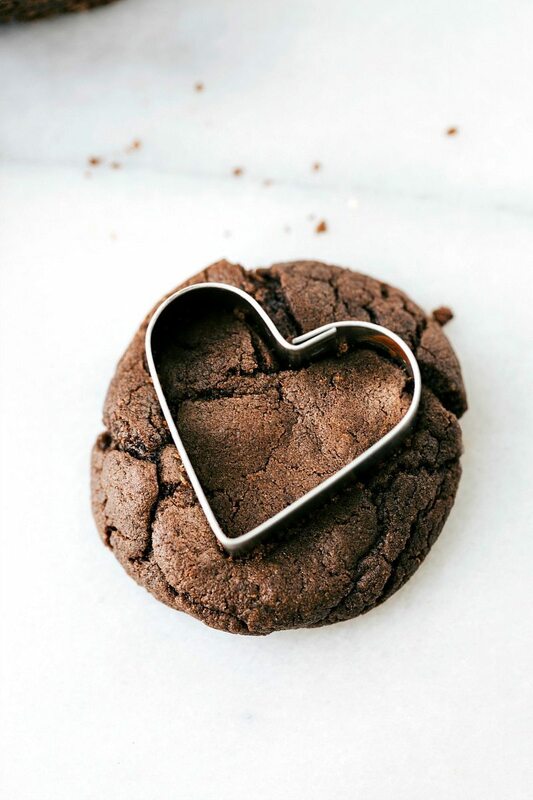 Bake the cookies, let them cool for 1-2 minutes and then cut them out with a miniature heart cookie cutter. Or…. Preheat the oven to 350 degrees F.* Line a baking sheet with parchment paper or a nonstick baking liner and set aside. In a very large bowl, combine the cake mix and pudding mix. Add in the eggs and shortening. Beat until just combined. The dough may seem crumbly at first, but it will come together -- just keep mixing. If you're chilling the dough (see note), cover very tightly and place in the fridge for 30 minutes to overnight. If you're not chilling the dough (or after you have chilled the dough): Using a tablespoon measuring spoon, measure out the dough. Each ball of dough should be exactly 1 tablespoon. Place the cookie dough balls 2 inches apart on the cookie sheet and bake for 8-10 minutes. You want to slightly under-bake these cookies to keep them soft and fudgy. Remove the cookies from the tray and on to a cooling rack. 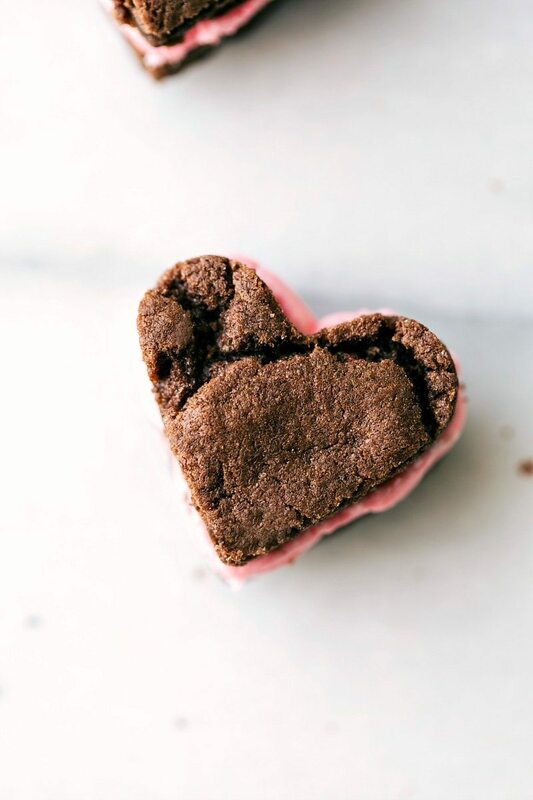 If you want to make the heart cookies, use a small heart cookie cutter and cut out each of the baked cookies. Cut them out about 1-2 minutes after the cookies have finished baking. Combine the powdered sugar, white sugar, shortening and vanilla. Beat until combined. Beat in the hot water and food coloring. Once the cookies have completely cooled, spread as much frosting as desired on one cookie. Place another cookie on top. Store in an airtight container; best enjoyed within 1-2 days. These are so cute! 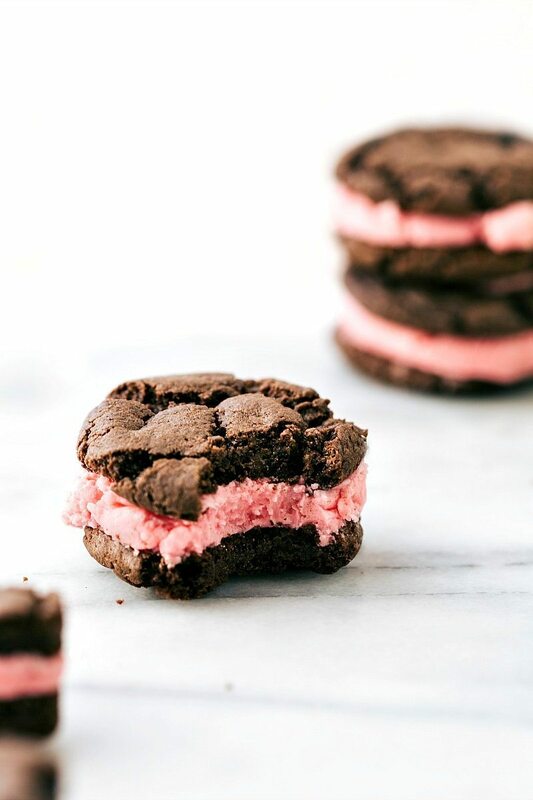 Homemade oreos are so delish! Love that you overloaded the filling. It is definitely the best part! Love how pretty and cute these are! 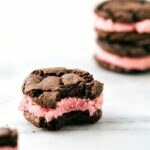 Homemade oreos are awesome and I love that you mega-stuffed them with the pretty pink frosting! They look gorgeous girl! Thanks so much Kelly! Mega stuffed frosting is the best! Cutest V-Day treat yet!! Love these and I’m sooo obsessed with Oreos! Your cookies look super adorable, but I have a question. Are they meant to be vanilla cookies just dyed black, or is there some cocoa powder missing from the recipe? When I think Oreos, I think chocolate, so I was curious! These are super cute and fun! I love your pictures 🙂 And I love all the matching pink! Super cute! I’m hoping to try something along these lines. Thanks for the inspiration! These look absolutely amazing! Checking them out from the chef in training link party! Wow I love that they are homemade goodness! These are the most adorable heart shaped cookies I ever did see!! 🙂 Not to mention they sound delicious!! Thanks so much Jocelyn 🙂 I hope you had a great weekend!